This book is a wolf in sheep’s clothing. The packaging – from the exclamation mark in the title to the frequent use of words like “witty” and “entertaining” in the various celebrity endorsements, and the emphasis on the author’s track record as a comedian and TV personality – all lead you to envisage a flippant, unchallenging read. 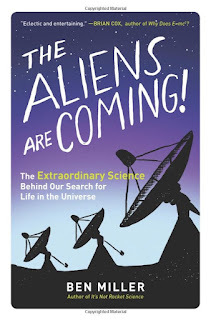 I opened the book expecting a light-hearted debunking of ufology (always good for a few laughs), followed by a journalistically glib recycling of the “real science” of SETI, exoplanets, extremophiles et al. But what I got went much, much deeper than that. There’s a lot of science in this book – and not just the obvious topics. What other popular book on astrobiology embraces subjects like information entropy, or the anthropic principle, or gamma-ray bursts, or Zipf’s law? 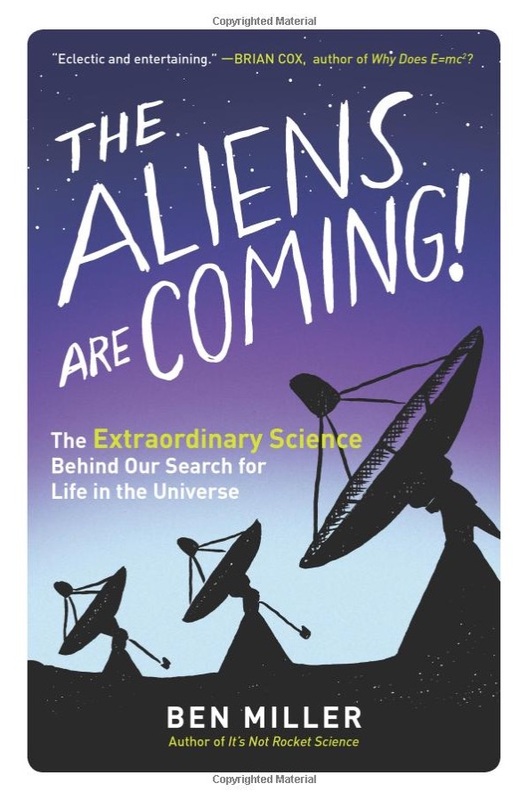 Miller’s explanations of the first two are as engaging and lucid as I’ve seen anywhere, and as for the last two – well, I never would have guessed they were relevant to SETI until he pointed it out. A longstanding hobbyhorse of mine is that the aliens of popular imagination – as evidenced in sci-fi movies and UFO reports – look much too similar to homo sapiens to have any scientific credibility. Real aliens are going to be much more alien than that. It’s a point Miller makes in the very first pages of the book – and before long he’s gone even further. Professional scientists make analogous if less obvious mistakes. Most SETI initiatives are based on the unstated assumption that aliens are going to think and communicate in much the same way that Earth scientists do in the early 21st century. Astrobiologists tend to think of “life” as synonymous with multicellular DNA-based organisms, with so-called extremophiles being as weird as it gets (Miller, incidentally, thinks the extremophiles came first, so actually we’re the extreme ones). Even here on Earth, however, there may be non-DNA life in the form of desert varnish – the jury has been out on that one since Darwin’s time. To put it in a nutshell, The Aliens Are Coming! is highbrow content in lowbrow packaging. For me, the biggest downside of this arrangement is that the author doesn’t cite his sources. The book has an unusually large number of footnotes, but they’re almost all textual asides rather than references. Miller clearly put a lot of effort into primary-source research, and I would have welcomed a few pointers to help me dig deeper into some of the topics for myself. A second “lowbrow” feature of the book is the lack of an index – but that hardly matters, because this isn’t a book for dipping into. It’s one you’re going to read from cover to cover.